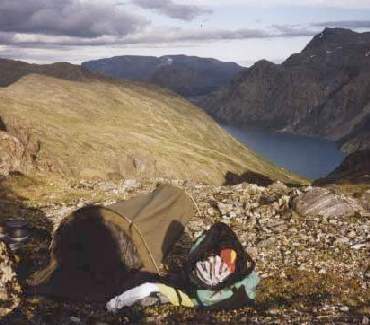 Backpacking in the Jotunheim National Park, Norway, 1997 - Day 6: Sun and Rest. Previous: Day 5: Surtningssua. Index Next: Day 7: By boat and foot to Langedalen.